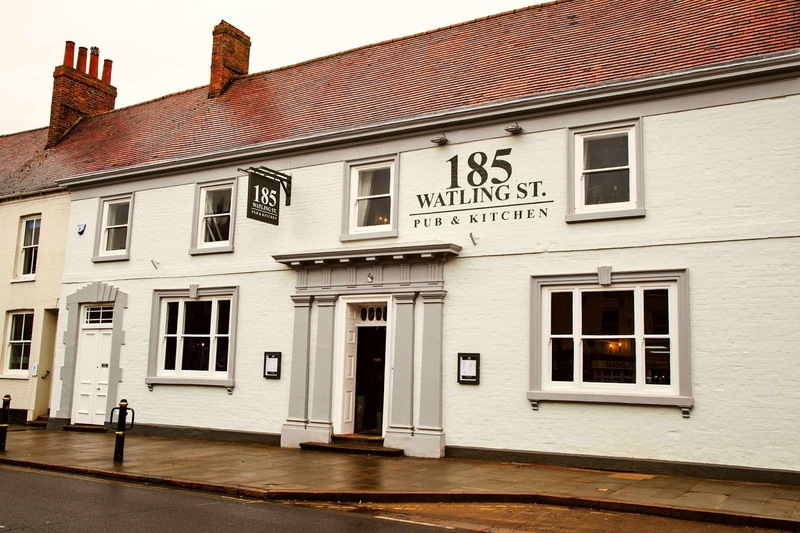 I have been running coffee and card sessions in Towcester for nearly 3 years, most recently at the Saracens Head pub - which we moved to 18 months ago as a temporary measure after the closure of the Dolphin Cafe ! I am really looking forward to this new venue, and we will start our sessions with a bookmark card this week. Bookmarks are so useful, and make a great small gift on their own or with a book of course! Coffee and card sessions in Towcester cost £6 per person, inclusive of tuition, supplies, hot drink and toast. 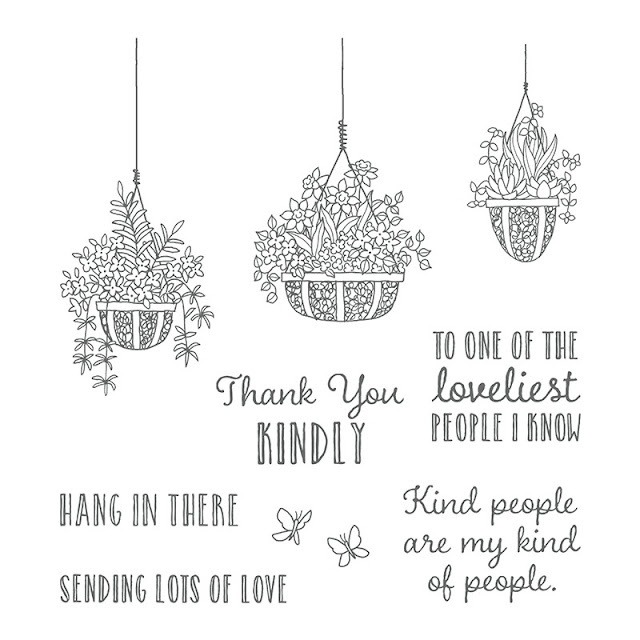 There are 3 hanging basket images you can use, and plenty of sweet sentiments, two of which I have used as you can see. They can be added to a card, or just kept on their own. 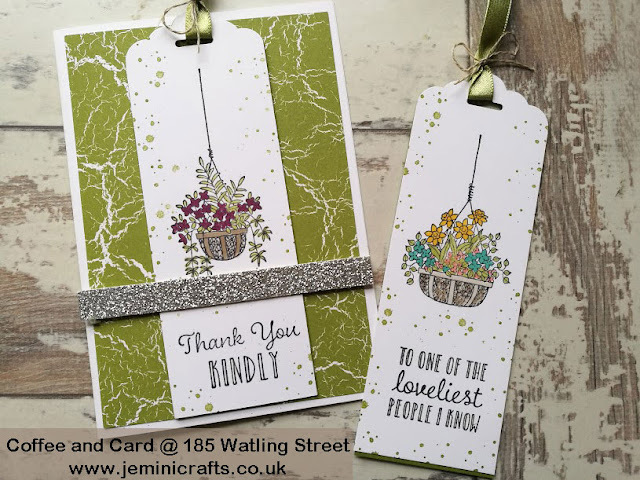 I used my Blends pens to colour in the images, although you could also use Stampin' Write Markers too as it is a small area to colour in. I used our Scalloped Tag Topper Punch to create the bookmark tops, and just threaded them with our glitter ribbon. A small strip of silver glimmer card makes the holder for the bookmark. I think this would work for mens cards (especially gardeners) as well as new home cards. The Hanging Garden stamp set costs £17.00 and is available in our 2018 Spring/Summer catalogue. It consists of 9 images, including 5 sentiments, 3 hanging baskets and a pair of buterflies. you can order these from my store anytime online, or you can contact me by email for further details. Thank for stopping by and reading this post. I am busy this weekend preparing for our classes next week, and also our big weekend event 3rd and 4th February. For once I am glad it is raining outside!